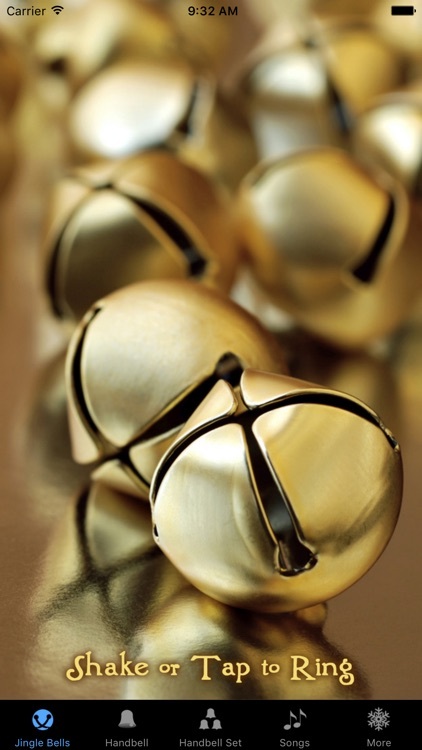 Play Christmas songs on the handbells with Holiday Bells! 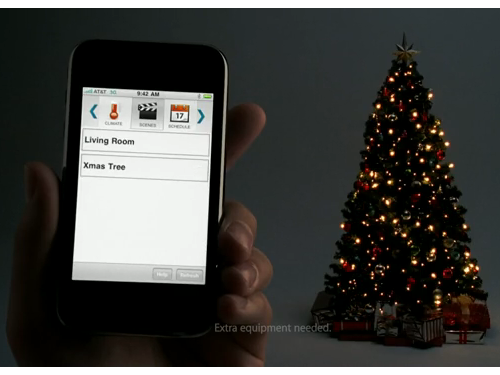 Now for iPad, iPhone and iPod touch! Jingle Bells: shake the phone to ring the bells. Fun for kids! 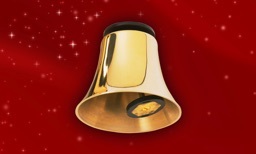 Handbell: swing to ring. 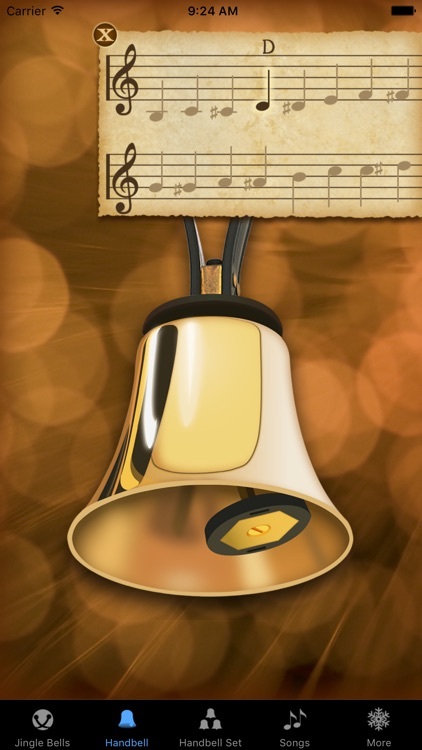 Tap on the clef to change pitch. 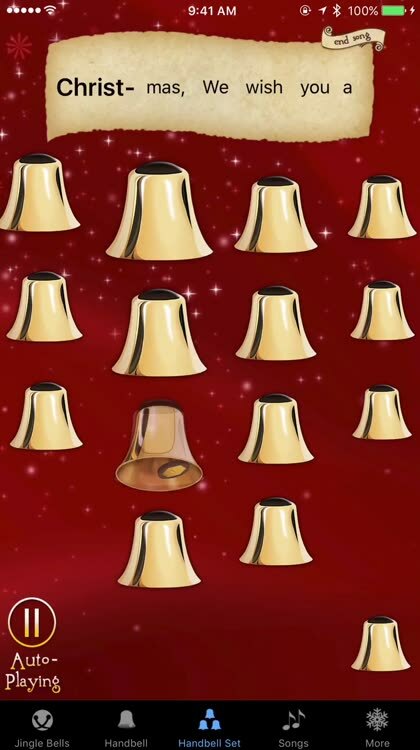 Handbell Set: 15 handbells. 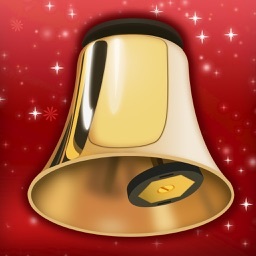 Tap on the bells to play your favorite holiday songs! 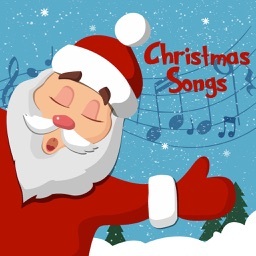 Songs: 20 tap-along Christmas songs, with favorites like "Jingle Bells", "Away in a Manger", "Joy to the World", and more. 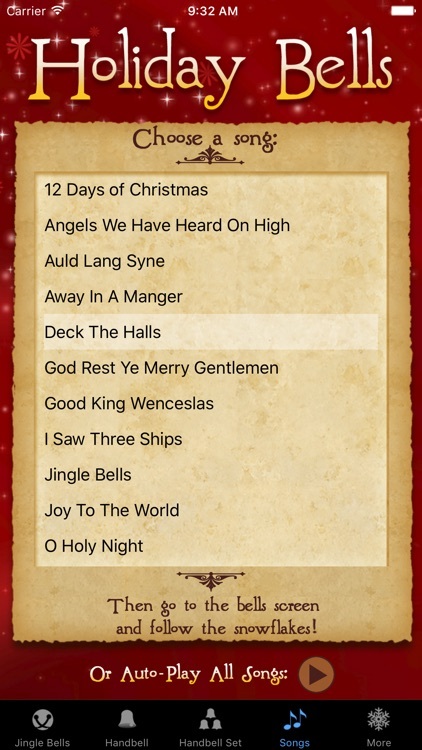 Scroll the songs list to see them all. 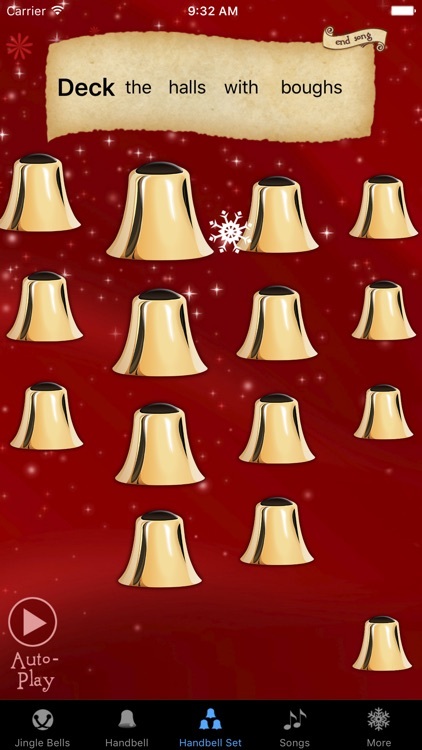 Select a song from the list, then follow the snowflakes to play it on the bells! 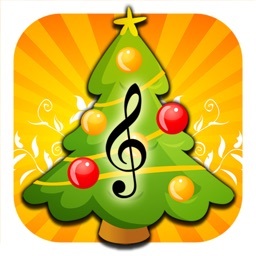 Very easy to play - no music experience required! 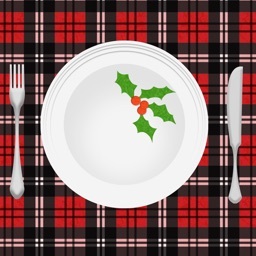 Stickers: includes a holiday sticker pack for iMessage, with bells, stars, animated music notes, a music sheet and songbook, an animated candle with flickering flame, a Christmas wreath, birds (cedar waxwing, cardinal, and peace dove), and a red poinsettia. 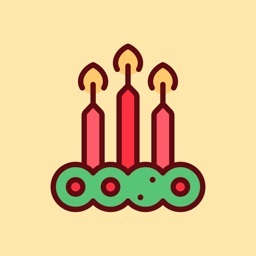 All of the stickers are original hand-drawn artwork by artist and app developer Kira Matrejek. 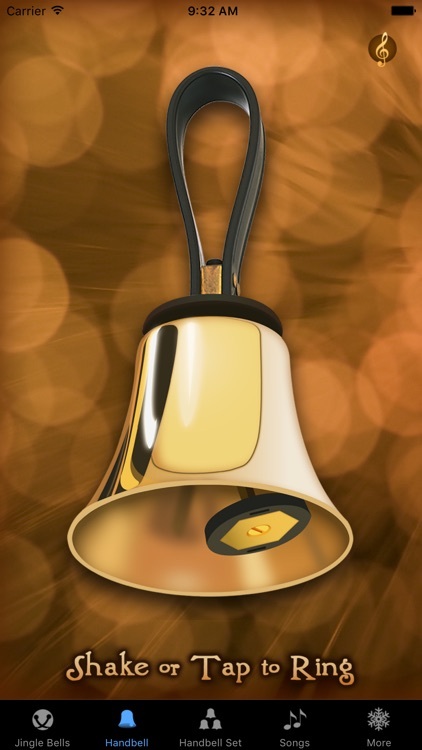 Holiday Bells uses the beautiful sound of real handbells!